"As these vivid case-studies illustrate, the real sleeping dragon—China’s enormous factory proletariat—is wide awake and fighting back on all fronts. Indeed, here is first-hand evidence that Chairman Xi Jinping may soon confront the largest labor rebellion in history." "China on Strike is a much-needed, detailed account of labour struggle in the Pearl River Delta region, China’s manufacturing industrial heartland. It is a story brilliantly told from migrant workers’ own perspectives, about all that keeps this factory of the world moving." "China's rise as a global economic power has been paralleled by a growing militancy among its working class. In this unfolding process, workers are gaining the confidence, experience, and tenacity to strike and to win. Censorship and political repression by the country's ruling party makes first-hand accounts of these struggles–especially in English–extremely rare. China on Strike fills that gap through eye-opening and compelling narratives of China's new generation of worker-militants and strike leaders. It's a must-read." "China on Strike provides the most detailed and vivid accounts of migrant workers' struggles in the Pearl River Delta, the powerhouse of China's reform and industrialization. The struggles of these workers shed light on the future of labor movement not only in China, but worldwide. A must-read book for readers concerned with labor activism and international solidarity!" "This book breathes authenticity. 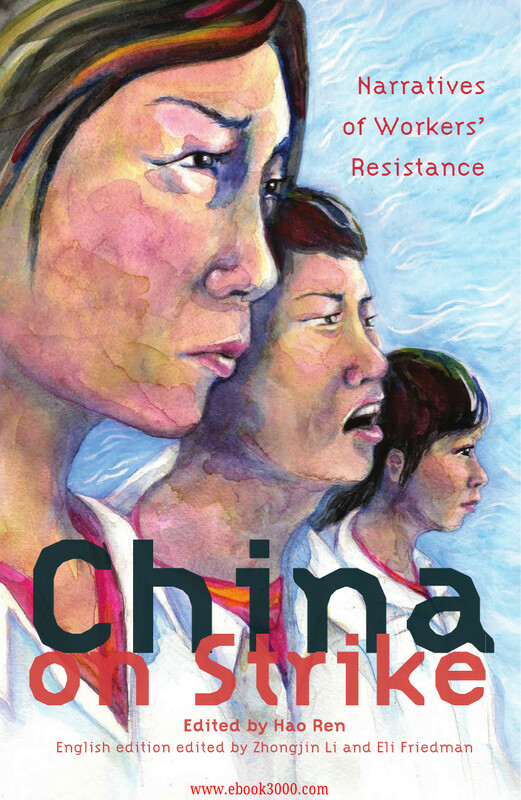 China on Strike is a collection of oral histories created by a network of workers, students, students become workers, and intellectuals practicing in related fields, whose underlying concern is to make known what is really happening on the ground in China. The scenes they describe very much resembles the rank-and-file self-organization of workers in the United States in the early 1930s. Let us hope that as our Chinese comrades become more organized and powerful they are able to retain the wonderful vitality of the early actions described in this remarkable book." "This book provides an exhaustive and vivid account on migrant workers’ strikes in China. Many authors of this book are young, well-educated and passionate labor activists. Through the eyes and hearts of these organic intellectuals, readers can feel how a new working class is creating itself in struggles. It will inspire imagination about the future of China, globalization and labor movement." "China is not only the elephant in the room of global capitalism, but the site of one of the world’s greatest on-going labor upheavals. China’s working class in formation has mounted mass strikes against all odds—a one-party dictatorship, ‘unions’ controlled by the Communist Party, waves of internal migration, and, of course, global capital itself. Yet, China’s mostly young workers rebel in growing numbers forcing concessions from the bureaucratic state as well as from giant corporations. China on Strike provides a unique view of the developing consciousness and actions of these daring workers as the strike movement of recent years took shape. This is a book that should be read by all those who care about the future possibilities of working class power everywhere." "A remarkable book that introduces us to the Chinese worker....What is most impressive about this book is that it is not only a remarkably informative book about Chinese capital and labor, but it is also a kind of organizing manual that might be profitably read—as it was designed to be—not only by workers in China but by workers almost anywhere in the world, including here in the United States." "China has become not only the 'workshop' of the capitalist world but also the epicenter of the global class struggle. The workers in China are making history. This is the time to read China on Strike, a book about ordinary workers and worker-activists and how they fight for a better world tomorrow." "Workers throughout the world are fighting wage cuts, bad working conditions, and runaway shops. Without rights or protections taken for granted elsewhere, Chinese workers have struck thousands of times over these and other issues. China On Strike gives voice to factory struggles rarely reported in the U.S. and confirms the central role played by a new generation of rank-and-file leaders. Their inspiring exercise of shop floor power is worthy of close study by labor activists here." "Over the past two decades China has emerged as an industrial powerhouse, and the country’s explosive growth has been a defining feature of the global economy. Now China’s workers are taking center stage. China on Strike paints a vivid, first-hand picture of working conditions in the heart of China’s ‘manufacturing miracle,’ the impetus for tens of thousands of job actions and labor disputes each year. The stories featured in China on Strike put to rest the notion that today’s factory workers are helpless victims. On the contrary, they demonstrate that it’s still possible to fight back at work and win, even against the world’s most powerful corporations and an unbending, one-party state. The book is testament to the enduring power of solidarity, and the creativity that bubbles up when workers stand up and fight back."